Giving your child the gift of a private school education may provide them with more than you might think. As well as the advantages of smaller classes, and therefore a better teacher to student ratio, there is usually additional teaching available outside the normal classroom environment too. Additional support can give students a chance to grow in confidence if they are struggling in their normal classes. The benefits of this are huge, and can ensure that your child are given the opportunity they deserve to reach their full potential. Because of the smaller numbers usually found within private education, parents and teachers have more chance to communicate about their child and their progress. Teachers have more of a chance to know their students on a personal basis, and therefore they are able to see very quickly when students are failing behind their classmates.Most private schools have more specialist staff available who are trained to asses and identify individual education plans for each pupil. In state schools there may not be the opportunity to have a lot of one-to-one support due to lack of specialist teaching staff and the funding available enabling them to be put to good use. If a child has dyslexia, for example, it may be difficult to identify in a large class. The pressures of school examinations, a number of different teachers and numerous class assignments put stress on dyslexic pupils who are at a disadvantage compared to their non-dyslexic peers. When feeling misunderstood, pupils may lose motivation and self-esteem may drop rapidly, resulting in even worse performance and sometimes even leading to problems in their behaviour. It is important to identify learning problems quickly, so that extra support can begin. Ask your prospective schools what methods are in place to identify when pupils are experiencing difficulties. The faster learning problems are realised, the faster children will be able to receive the appropriate support. In recent years, teaching assistants have become more common inside and outside the classroom. 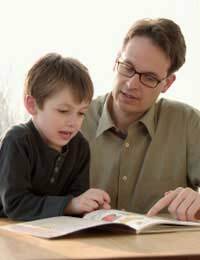 For children who need extra learning support, having an additional teacher to help explain problems further helps the learning process. Ask the school of other types of support that are available for your child, there may be extra after school tuition or summer school available for those who have really started to fall behind. Your chosen school may offer additional vocational courses to children, such as Business Studies. A lot of schools now offer Leisure and Tourism as well, which has become one of the largest industries on the planet. Here your child can gain different knowledge skills that purely academic subjects do not offer. The school also may provide opportunities for learning abroad, such as an exchange with a foreign school where children can develop cultural awareness, as well as getting to know slightly different teaching methods. Within a private school education there may be chances for students to gain positions of responsibility. This may come in the form of Team/Form Captain, Head of House, a Mentor, Prefect or even Head Girl or Boy. These positions will be respected by other children and they will be seen as role models for the entire student body. During this time, children will learn about leadership skills and communication skills needed in order to gain confidence and self assurance. This additional learning can be invaluable to achieving great success in later life. In giving your child a private school education you are giving them the chance to learn new skills and explore all avenues of learning. Whilst you look around the school take note of all the different activities and lessons that can be taken, the more they do, the more these options will help them become an intelligent, well-rounded individual.